These high capacity recycle stations use color-coded, hinged recycle lids to promote and encourage users to sort their recyclables! Trilingual Material ID Labels (included) make sorting recyclables easy and allows the user to customize a program to their facility. 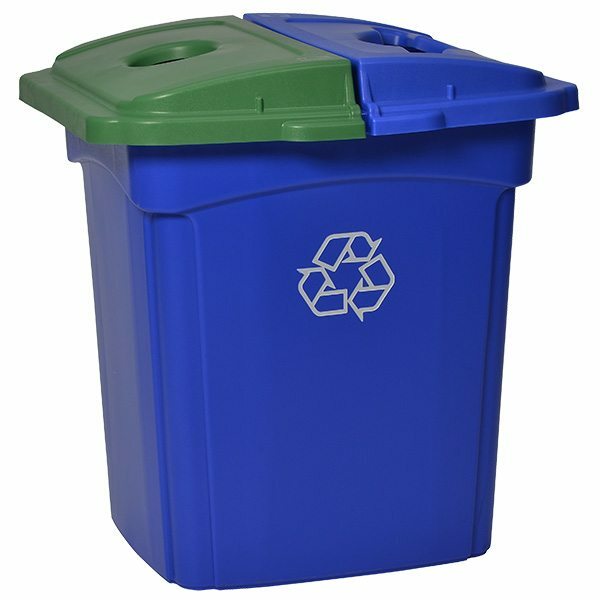 Two rigid plastic liners allow convenient and efficient separation of recyclables for multi-stream collection. Rigid liners are easily removed for emptying and cleaning. Four color-coded lids are included. Case Cube - 16.529 ft.
Case Weight - 42.00 lbs.